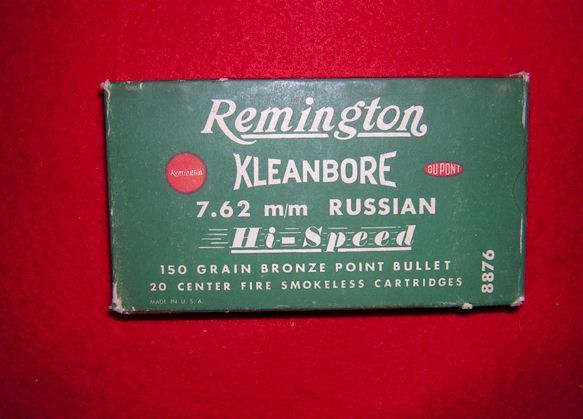 This antique 7.62 m/m Russian - Remington ammunition was manufactured over half-century ago. 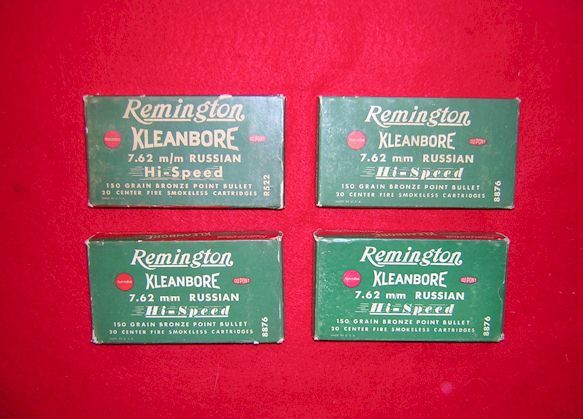 The old Remington paper boxes are in excellent condition and true collector quality. 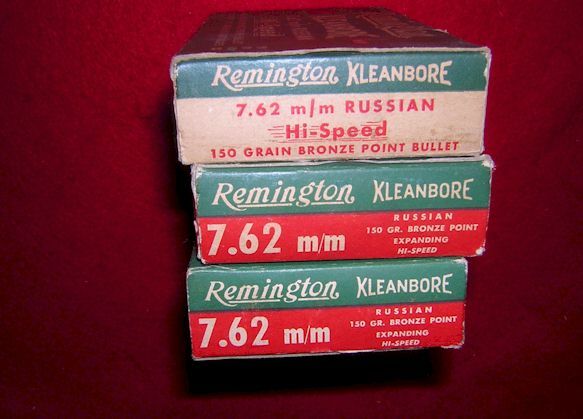 The 150 grain bronze point bullets are also in excellent condition.